Few people have changed popular culture more than Norman Lear. When Television was at its height he provided a much needed jolt, giving audiences not what they asked for but what they required. His comedies were dramatic, crafting more complex situations for his sit-coms than any that had come before. With a string of hits that spanned from All In the Family to Maude to The Jeffersons Lear and his creative team managed to shift the comedic discourse for the latter half of the 20th century. 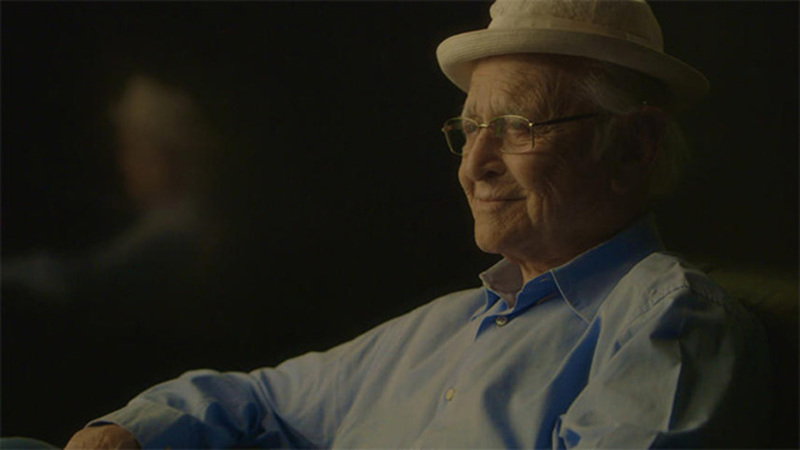 Lear has had his fair share of accolades, but there's likely been no better tribute to the man and his art than the documentary Norman Lear: Just Another Version Of You.Mixing subtle moments of cinematic whimsy with compelling interview footage, Heidi Ewing and Rachel Grady manage to provide a decidedly enthusiastic overview of the man's career. From early days as a young boy coming to terms with the failures of his father, right through to his continuing participation at the age of 93, the breadth of the man's experience is humbling. With a series of interviews spanning from George Clooney to Rob Reiner through to family members, one gets a genuine sense of the man. The film takes as its basis the recently published memoirs written by Lear, and it's clear that the process of coming to terms with his past in print has opened him up fruitfully for this doc. Just as the film might slight into hero worship we find honest appraisal of the faults of the man, certain blindsides that he had. Sure, the busy man who doesn't have time for his family is hardly original, but there's something more in the telling that we get here, and some of the other twists of his emotional and personal life are often quite surprising. The film is occasionally guilty of the sin of telling rather than showing, the plague of most films of such a celebratory nature. We're often told by participants how much of a change Lear's works made on the TV landscape but only sporadically shown. Yet it's some very effective presentations that are projected to the interviewees that allow insight into just what these shows had for an effect. The most moving of all is perhaps Lear's recognition of the role made famous by Carol O'Connor, and the remarkable craft that the actor displayed through numerous seasons. At times we witness these viewers staring at the screen, mouth agape at a given joke, eyes welling up with tears as the comedy turned to something far more rich and deep. By blending these moments all together Ewing and Grady have managed quite beautifully to mirror the intimacy and forthrightness of Lear's recollections, all wrapped up in a package that's visually quite interesting. Norman Lear: Just Another Version Of You , with its brisk sweep through history, easily could have lost its way as some sort of greatest hits clip or mere hagiography. Instead we get a film that's clearly reverential to its subject but not at the detriment of digging down into what made the man tick. One could wish for a more deep-diving doc about the man, many more hours of interviews and clips that further contextualize his work and personal life. Yet within the constraints of a reasonable running time the filmmakers do a fantastic job of bringing his story to generations perhaps unfamiliar with his role in setting a sea change in motion, and a reminder to those that watches his shows in their prime the chutzpah of the man to take on established tropes of what served as comedy and give us something far more nourishing indeed.